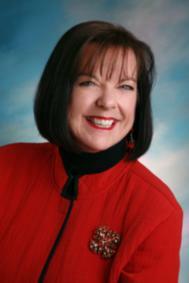 Queen of Bliss, Joeann Fossland: Busy or Productive? There's a BIG difference! Busy or Productive? There's a BIG difference! How do you decide what actions to take today? Is it the squeakiest wheel? The easiest to- dos? Or do you have a plan for the day? I have long advocated beginning the day identifying the 3 items that would give you the most leverage towards your long term goals. Put those 3 on a sticky note or as a pop up on your computer and work on them first, come back to them as you are distracted or fight a fire and stay focused on progress with them. But what about everything else? When I read David Allen’s book, Getting Things Done, a few years ago, his technique of having a projects list changed my life! Allen defines a project as anything that has more than 1 step. Most of us have dozens of these. From getting the oil changed (choose store, put it on the calendar,make appt, take it in) to sending a drip campaign to database(define prospects, create or find content, etc.) most of our to do items are made up of many individual steps. What a project list requires is that you list EVERY project that needs to be accomplished in the next few weeks. Then, and this is the powerful part, you identify what is the NEXT step! Often we do not make progress or procrastinate because we don’t have time to complete an entire project or we haven’t really thought through what the steps are. The project list will be continually being updated as new projects are added or as you complete a step and then identify what the next step would be. What I find productive in using this is that often I can take the next step easily on many of the projects and keep moving them forward. I also find it valuable to have a “parking spot” for projects that might not require action this week to keep them from dropping off the radar entirely. If you work with a coach, having a project list like this gives you a framework to manage projects. Give it a try and let me know what you think! Or tell me what your method is for being productive…rather than just busy! I can relate to being busy and sometimes not very productive. Working and being on track for the day, then the phone will ring and I find myself chasing rabbit trails. Going here and there with little to show for the work and the outcomes were disappointing. Richard! You are so right about how phone calls can pull you off track or distract! Smart Man! Thanks for coming by!